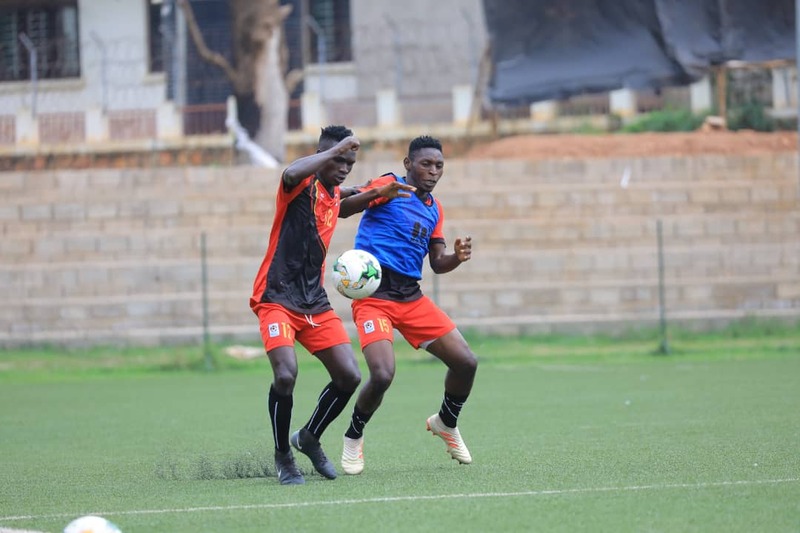 LUGOGO – Uganda Cranes conducted their first training on Monday, 11-03-2019 at the StarTimes Stadium Lugogo ahead of their Group L qualifier away to Tanzania. This will be their final group game having already qualified for the finals in Egypt, later this year. Only 24 players attended the first session that involved ball work, body stretching drills and shooting. Some of the local based players that missed training include Express Winger Micheal Birungi, Onduparaka Captain Rashid Toha who is injured, Mujuzi Musitafa and Bright Anukani (Proline FC), Viper’s Moses Waiswa, Tadeo Lwanga defender Halid Lwaliwa and Dan Serunkuma. Micheal Birungi missed the first session because he is going to be in action later today as Express host Bul in the Stanbic Uganda Cup match at Wankulukuku while Vipers SC face Proline at Lugogo. Speaking to the press after the Monday’s session, Cranes head coach Sebastein Desabre said he’s players need to be strong immediately because they have a lot to work on and there is little time left. 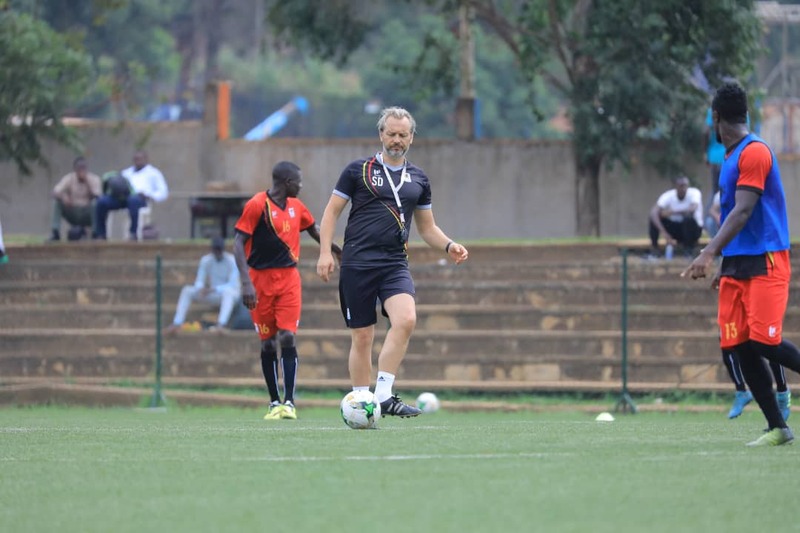 “We have little time left so the players have to be strong immediately and also manage themselves well to see that we win the second leg, said Cranes head coach Desabre. The first game between the two nations ended goalless at Namboole. Police midfielder Juma Balinya said that he’s happy that he was called to the national team by and he promises to be among the selected nine players from the 31 Desabre summoned. “Am very excited to be called on the national team and am going to work hard to see that am among the remaining players to join the others in Egypt” said Balinya. Sebwato Nicholas (Onduparaka Fc), Saidi Keni (Sc Villa), James Alitho (URA FC), Charles Lukwago (KCCA FC), Obenchan Filbert (KCCA FC), Wila Paul (Police FC), Samson Mutyaba (Maroons FC), Kizza Mustafa (KCCA FC), . Godfrey Walusimbi (Unattached), Timothy Awanyi (KCCA FC), Mbowa Paul Baker (URA FC),Mujuzi Musitafa (Proline FC), Halid Lwaliwa (Vipers SC), Hassan Wasswa Mawanda (Unattached), Sadam Juma (KCCA FC), Eyam Ivan (Mbarara City FC), Tadeo Lwanga (Vipers SC), Okello Allan (KCCA FC), Owori David (Sc Villa), Allan Kyambadde (KCCA FC), Poloto Julius (KCCA C), Balinya Juma (Police FC), Kaddu Henry (KCCA FC), Madondo Joel (K-Jinja SS), Bashir Mutanda (Sc Villa).